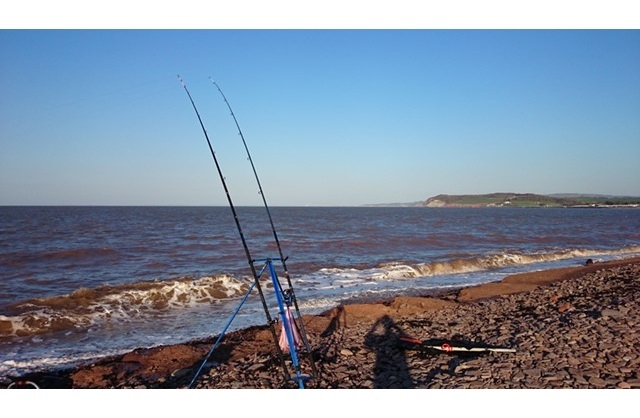 Fancy a days fishing in the Bristol Channel? Listed below are a selection of the most popular local marks with the postcode for how to get there and information about what you may catch and how to catch it. 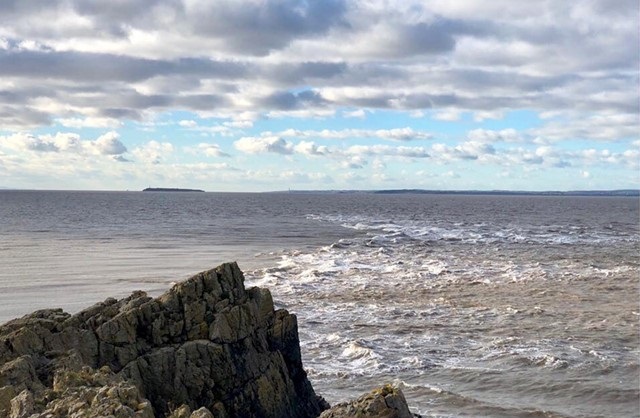 The Bristol Channel can offer some very good fishing and the marks listed include some easy to access spots and some others which require a bit more effort. If you want a full days fishing then bear in mind that due to the large tidal range you may need to change venues and like the locals fish low at one spot and then move along the coast to fish high tide at another mark. 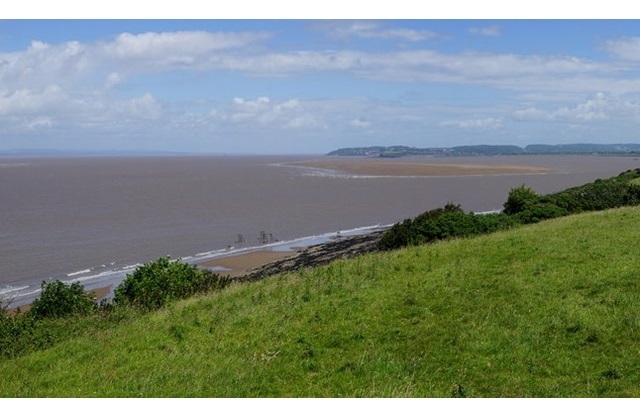 The Bristol Channel is subject to the second highest tidal range in the world and therefore a degree of care is needed on some marks. Fishing at high tide is normally fine but if you fish some of the low tide marks you must be fully aware of the rising tide and ensure that you exit is not cut off by the incoming tide Common sense should keep you safe but if in doubt about a spot then seek local guidance before venturing out, preferably from a reliable source rather than a keyboard hero on Facebook! The upper channel marks are particularly dangerous and we would not recommend venturing out on to any of the mud banks and sand bars. Click HERE to find the latest news on the VMO catch reports forum. Fancy a day on Chesil? The VMO Guide to Fishing Chesil Beach details the popular marks, what you may expect to catch and how to catch them. The Bristol Channel is a huge expanse of water and could take a life time to understand fully. There are long sandy beaches, rock promontories, pebble and shingle ridges and everything else in-between. Although we have provided rough guide here to enable you to get a taste of what you're likely to encounter, nothing beats practical hands-on experience. Jansen Teakle not only works right here at VMO, but is also our very own resident shore fishing guide and has fished the shores of the Bristol Channel for 30 years. 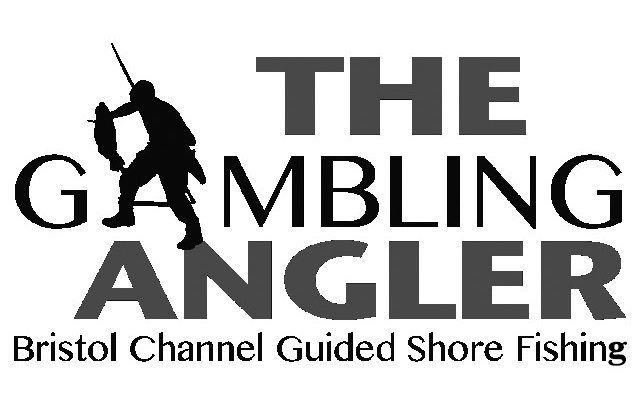 His fully insured guiding service operates under the title of The Gambling Angler (click for website) . The UK has been slow to catch on when it comes to guiding with countries such as America, Canada and New Zealand leading the way. Yet, in many other sports such as Tennis, golf or personal fitness it is common place to take advantage of a coach, trainer or personal instructor. Learning how to to fish correctly and understanding why and how things are done will set you on the right path and ensure that you have the foundations for a successful fishing future firmly in place. Bad habits die hard but with the correct tuition, it's possible to get your fishing off on the right footing. If you are new to sea fishing and would like some practical assistance with your sea angling, Jansen can help. 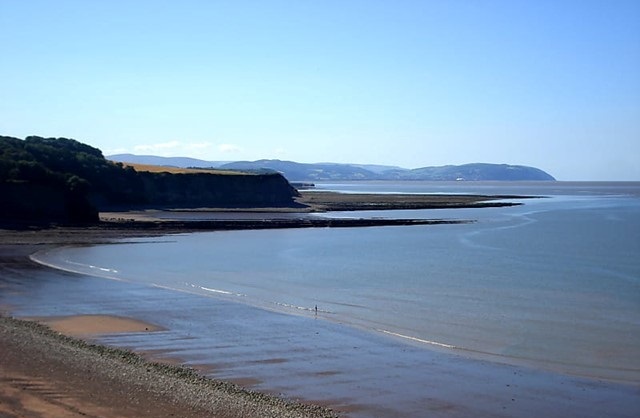 If you are an experienced angler but have ever wondered about the sea fishing here on the Bristol Channel or wanted to discover a venue you had often contemplated fishing, he is only a click away. Perhaps you have always wanted to tackle a noted mark but just don't know where to start and are intimidated by what you have heard? Maybe you're doubting yourself and you're ability? You could save yourself a lot of time and effort by booking a short guided session. 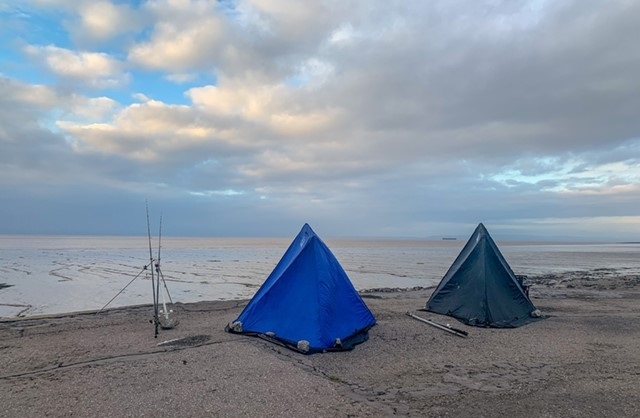 Fishing in the Bristol Channel can not only present a number of challenges, but it can also be a dangerous pastime if you are not familiar with the extreme tides found here. Unsuccessful trips can soon stack up and over time can become quite costly, so it makes good sense to seek the knowledge of an experienced local guide for a comparatively small fee. But don't just take our word for it, also take a look at Jansen's Facebook page (The Gambling Angler : Bristol Channel Guided Shore fishing) and see the testimonials of dozens of anglers who have enjoyed successful sessions with him. Although he can never guarantee your will come away with the catch of your dreams, he can guarantee that you will acquire a set of practical skills and a lot of basic know how that you will be able to build on for years to come. If you're still unsure, you can email jansen at bookings@thegamblingangler.co.uk where he will be more than happy to answer any questions that you might have. Tides - Aust is fished over high water with tides between 11.5 and 12.5m on the Avonmouth scale suitable. Bigger tides will breach the salt marsh and push you back up in to the field, especially during onshore winds. 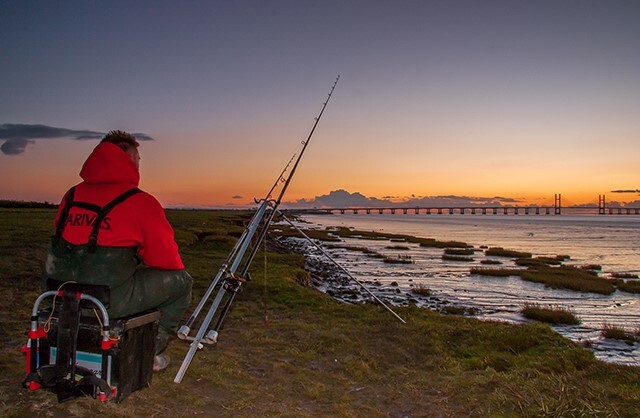 It is possible to fish at low water on the shingle ridge below the old Severn Bridge, but we DO NOT RECOMMEND doing so without expert local guidance. The tide can flood here extremely quickly and threaten your retreat back to the foreshore. General - Aust is a popular match venue as it offers a reasonably level playing field. Fishing is from the edge of a large salt marsh that is breached by spring tides. This makes for a muddy fishing experience so it's advisable not to take any luggage that the mud will cling to. You will be casting into fairly shallow water and fishing on to a sea bed comprising mostly of mud. Tactics - Aust lends itself to scaling down the end tackle. Flatfish, eels and school bass can all be taken at close range and many locals prefer a three hook flapper rig holding short snoods (12-14") tied to size 4 hooks. If you do fish like this, it is fairly common to hook bass that may range between two and five pound in weight, so we recommend a landing net to enable you to haul your catch up on to the ledge. Codling, conger and occasional rays can be taken at range and because of a strong parallel tidal flow it is necessary to cast well uptide to hold bottom. This is also a good reason not to fish too closely to other anglers. Light rods can be used for close range work and four ounces of lead should be ample. Distance casting may require the use of a 6oz Breakaway style lead at times. Bait - Small and lively king ragworm will take the majority of the smaller species found here, but local lugworm can also be a killer bait. Many local match organisers have banned the use of maddies simply because they are so effective, yet difficult to source unless you are the most dedicated of competition anglers. Peeler crab will score for bass and fish baits will account for thornback rays, especially in the autumn. NOTES - Chest waders are a good idea at Aust as although you wont need to wade, they can be hosed down when you get home! If you do arrive only to find that a match is about to get underway, although you are as entitled to fish the venue as those competing, it makes little sense to fish shoulder to shoulder and share the fish that are in front of you. Consider asking the organiser what the boundaries are and fishing well away from the crowd. You may see plenty of mullet during warm summer evenings, but only extremely light tackle and a lot of patience will see you land one on rod and line. Species: Codling, conger, thornback, bass, whiting, flounder, mullet and sole. Tides - Much as with Aust, bigger tides work well here. Medium tides are productive when fishing from the boulders to the right of the main sea wall where the bulk of the fishing takes part. As with many marks at this end of the channel, we DO NOT RECOMMEND venturing out at low water. The tide turns here at an alarming rate and even experienced anglers have been caught out in the past. The mud is also very deep in places. 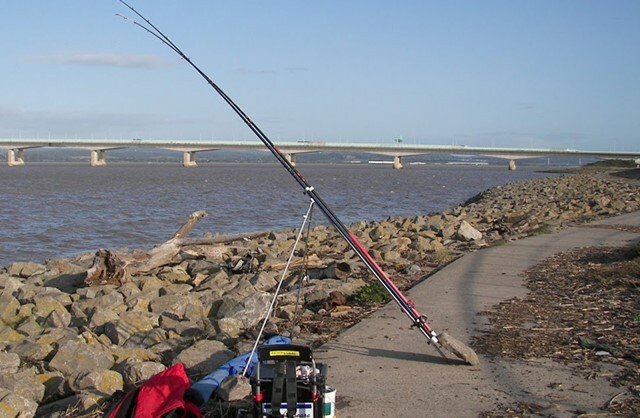 General - Severn Beach offers easy access to the motorway network and this plus comfortable fishing makes it a popular location to fish from. During the autumn and winter the codling fishing can be very good and anglers will sometimes set up on the sea wall two hours plus before the tide reaches the wall, especially if the mark has been fishing well. There is ample road side parking and it's just a short walk across the grass to the promenade that you will be fishing from. Tactics - The ground here is mostly clean but there are some large patches of stones and broken ground that are worth considering when picking your spot. Arriving early to assess the ground is recommended. A simple pulley rig is favoured by most anglers who are targeting the codling and other larger species found here. Flapper rigs will get you plenty of bites in the autumn when it's possible to catch flounders, whiting and occasional sole. Bait - Lugworm is the king of baits for most of the year but especially when the codling are about. It will also take whiting, flounder and bass. As with most marks in the upper channel, Severn Beach now sees thornback rays put in an appearance from time to time and these are best fished for with squid, mackerel or bluey baits. Good quality ragworm cast at short range is the best way to go about targeting flounder over the cleaner patches of ground. Conger can be taken on the same fish baits but fresh whiting can be deadly for these fish that could run in to double figures or more. There is potential to catch mullet here but stealth is required, not to mention a settled spell of weather. Bunches of maddies on tiny hooks are the way to go as they match what the fish will naturally be feeding on. 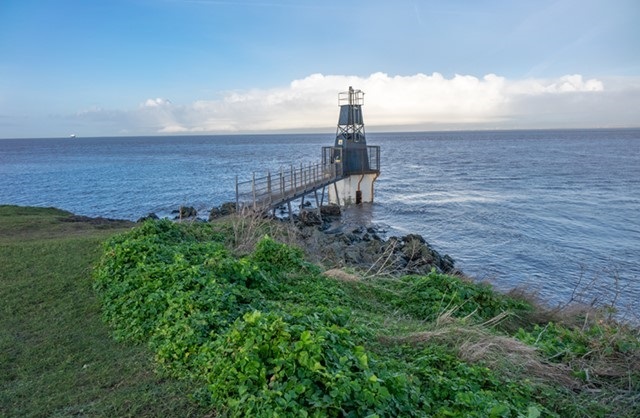 NOTES - Please remember that as a sea front promenade, Severn Beach is also shared with dog walkers and families taking in the sea air. Remember to keep the pathway clear of clutter at all times and remove any obstructions. Litter has often been a problem here and there will always be a minority who will spoil it for the rest. Pop a carrier bag in your tackle box and collect up all of your rubbish at the end of the session and take it home. Take a cutting board for fish baits so that you don't have to prepare baits on the ground, causing an unsightly mess and a stink to boot. Species: Cod, conger, thornback, bass, whiting, flounder and sole. General - Portishead offers several marks within reasonable distance of safe parking and the most famous is Battery Point. From the car it is just a short walk to the light house that lies on the point itself. This are can get very busy during the winter months so if you have your heart set on fishing here, an early start is advisable. It is possible to fish over large tides over low water on the sandbank that exposes to the far right of Battery point but we would only recommend doing so with an experienced angler. The foreshore around the yacht club the other side of the bay is best fished over low water is another popular location and fairly safe to tackle alone for the first time but you need to look out for areas of soft mud. 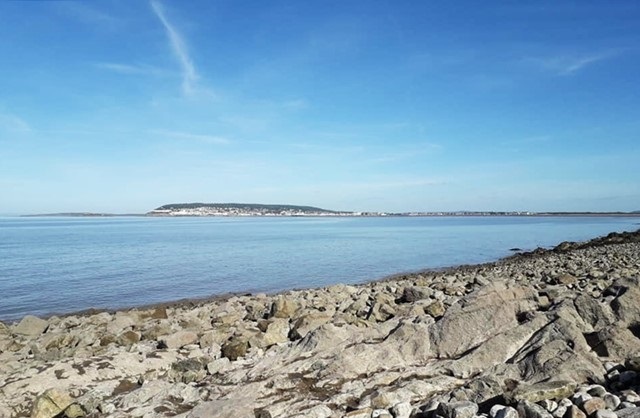 Tides - The tides at Portishead are some of the strongest in the entire Bristol Channel and for this reason it makes good senses to fish on the smaller tides as Neap tides allow you to fish all of the popular marks. Spring tides tend to run far too fast limiting fishing to just a short period around high or low tide. Tactics - Battery Point is the number one mark in Portishead and because of the incredible depth of water found at your feet, it is important to get your set up right. 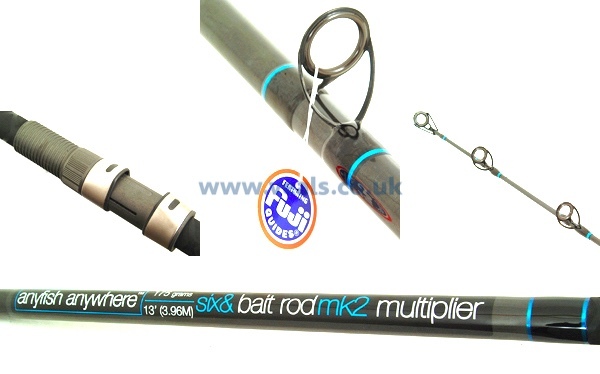 Reels holding plenty of 20lb mono (0.40mm) are ideal as are rods that will cast up to 7oz of lead or more. Pulley rigs with 5/0 hooks such as the Varivas Big Mouth will work for cod, rays and bass. Use a rotten bottom to keep tackle losses to a minimum. Do not try to fish here on big tides- the run is just too strong to allow for practical fishing. When fishing for sole, a three pound fish is not beyond the realms of possibility and many two pound fish are landed here between August and November. Don't be tempted to drop down too small on your hook size- a large sole will easily consume a 2/0 pennel rig crammed with juicy king ragworm. Bait - Big lugworm and squid baits are the way to fish for the cod that although do not show in the numbers they once did, can still be caught during December. When the sprats come in, a switch to a fillet of mackerel may tempt a large specimen. Big sole can be taken from the area to the right of the brick house and ragworm is the way to go for these. NOTES - Litter can be especially bad here. Please take a carrier bag with you and take all of your littler home so as not to add to the problem. The ground you will be fishing from can become extremely slippery when wet, so spiked boots are highly adviseable. Take your time when fishing here and be sure of your footing when casting. A life vest is not over the top and will ensure that if the worst should happen, you will be in with a fighting chance of survival. Species: Cod, conger, thornback, bass, smooth hounds, whiting, dogfish, dabs and sole. 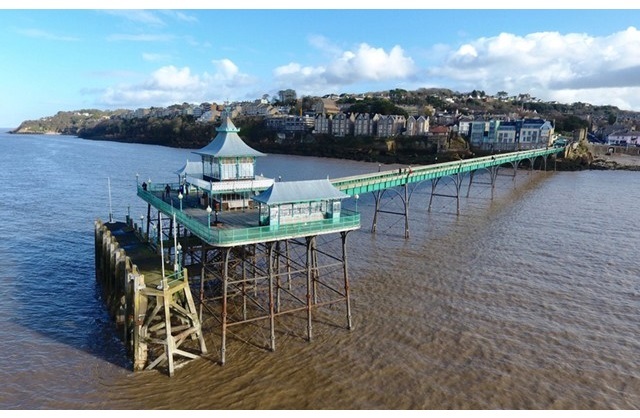 General - Clevedon Pier offers a comfortable angling platform and fishing in to deep water, especially on larger tides. Open since 1869, the pier has an active club membership as well as a day ticket system for non-members. The list of fish landed from the pier is truly huge and varied and the Club record sheet lists a remarkable 28 different species so you can never be sure what you may catch next. Tides - Neap to mid-range tides offer the best fishing. Spring tides pull incredibly hard making it extremely difficult to anchor a bait to the sea bed. Uptide tactics should be deployed and you could liken fishing here to fishing in a boat. As you look out to the pier head, the flood tide will move left to right and as the tide ebbs, it will run back in the opposite direction. Fishing in to the flow of the tide rather than down tide is highly recommended. Tactics - Fishing with two rods gives you the best chance of maximising species potential. 4/0 - 6/0 hooks on a clipped down running ledger or up and over style rig are a good choice if targeting the larger species such as bass, rays, conger and smooth hounds. Casting as far as possible uptide with a large fixed wired lead and paying out some line once the tackle has settled should see your lead hold bottom. 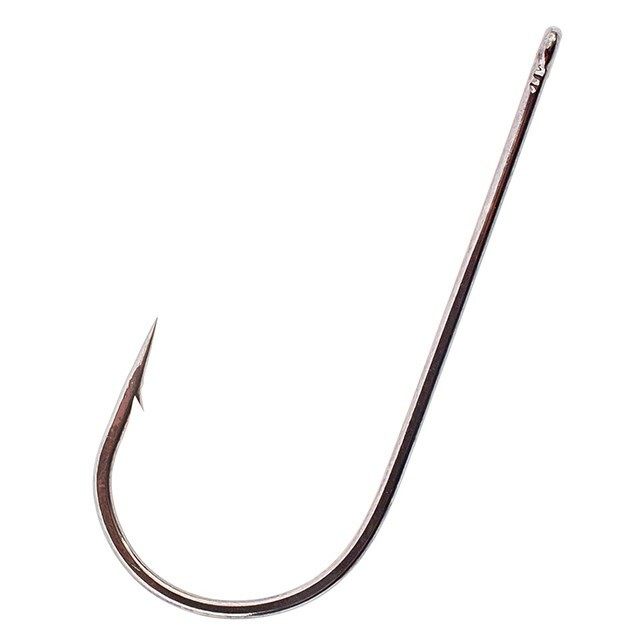 Bites are often revealed by the rod tip springing up and line falling slack. Smaller hooks on flapper rigs can account for sole, dabs and also the occasional plaice at short range. Bait - Worm and squid cocktails will take cod, rays, bass, dogfish and conger but if you are fishing in the middle of summer, smooth hounds are very possible and crab should be used. Smaller species such as dabs, sole and plaice can be targeted with either small sticky black lugworm or ragworm but it's also worth using combinations of worm baits. A live bait slider is not a tactic used here a great deal but if some dedication was applied to this exciting method, it could well reveal some exceptional fish. Whiting are an excellent bait for some of the larger predators found here and presenting a live one could pay off. 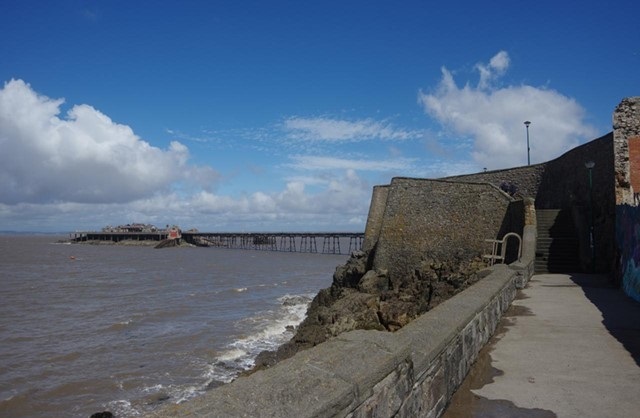 NOTES - If you enjoy fishing the pier then it is well worth joining the Clevedon Pier Sea Angling Club. Membership offers a number of benefits including extended fishing times and regular competitions. Club details HERE The landing of large fish should be a consideration as there is little point hooking something lumpy without the means to land it. There are drop nets available but it may be worth bringing your own just in case. Tripods are banned but you can rest your rods on the railing although many pier regulars fashion a rod rest from a block of wood with notches cut in to it secured with bungee straps. A full list of rules is available on the clubs website. Species: Cod, conger, thornback, bass, smoothhounds, whiting, dogfish, dabs and sole. General - Ladye Bay is possibly one of the most fished marks in the channel. The name is often applied generically to the area accessed from Bay Road up in to Walton Bay and beyond though technically applies only to the first couple of hundred yards of ledges. 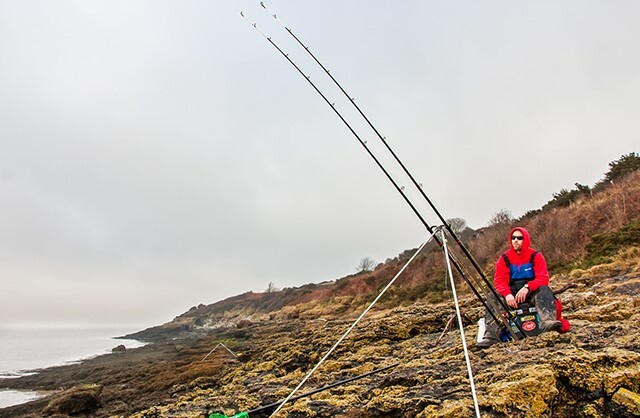 Fishing options are endless and there are potential marks dotted all the way along the coast path with both low and high water fishing potential. High water fishing is from reasonably flat ledges in to fairly deep water and those venturing below here to tackle the low tide will find a mixture of hard sand, mud, rock and weed under foot. Tides - As with the vast majority of marks around Clevedon and Portishead, the run of tide can be fearsome at times. Most locals prefer to fish a neap tide, but the choice of high or low water seems to come down to personal preference. The turn of the tide, be it the flood or the ebb is a noted time for fish to run through, especially during the winter when cod are on the cards. Tactics - Rods capable of casting up to 7oz of lead plus a modest bait are advised, as are fast retrieve fixed spool or multiplier reels loaded with 20lb (0.40mm dia.) mono and a shock leader. The tide will run left to right on the flood and right to left on the ebb. Walking a little way up the ledges to cast your bait uptide will allow you to pin the tackle to the sea bed. Failure to do so will see it bounce around and more than likely find its way in to a snag. Codling can often be caught at close range where they will be feeding on crab amongst the rocks, especially in the spring. Bait - Blow lugworm, black lugworm and ragworm are all successful baits here for cod during the winter months. These baits will also take whiting. A 1/0 Pennell rig loaded up with quality ragworm could entice a specimen sole from practically anywhere along here if you are lucky. Smooth hounds have shown from the shore here in recent years and as with any smooth hound fishing in the upper reaches of the Bristol Channel, crab baits will score. Dabs can be taken from the sandy ground and are a sucker for small black lugworm baits tipped with a thin strip of squid. They are not as prolific as they once were, but are still possible to catch at short range. NOTES - Ladye Bay is another very popular venue so if you have your heart set on tackling a particular spot, it's advisable to arrive early. If you are prepared to walk a considerable distance, there are many uncrowded marks that offer excellent fishing. The ground can be varied throughout the bay and tackle losses are to be expected. Consider a long handled landing net if tackling the high water ledges. Access to land fish can be tricky here, so pick a spot where you can safely climb down to water level if need be. Species: Codling, conger, thornback, bass, whiting, flounder and sole. General - Fishing here is from a sea defence situated within Woodspring Bay created to protect the low lying farm land of the surrounding area from the huge tides that have in the past caused devastation. The wall offers almost four miles of high tide fishing yet surprisingly does not receive very much attention from anglers. Tides - Spring tides of between 11 and 12m on the Weston-super-Mare scale are favoured here. Smaller tides offer a limited time frame and shallow water, but select a tide much more than 12m and the water will breach the wall, flooding in to the fields and making for a soggy fishing experience that will see you pushed back from the hard standing. Most anglers would aim to fish here two hours before high water and around ninety minutes back. Although it's possible to fish here at low water, do not attempt to do so without expert guidance. Tactics - Many local anglers like to scale down tackle when fishing at Kingston in a bid to tempt flatfish. Three hook clipped down rigs can be cast or long or short in a bid to find where the fish are feeding. Some huge sole have been caught in nets within Woodspring Bay and are considered the Holy Grail for many. Size #1 or 1/0 hooks should be used. Bass can be caught under your feet using light tackle from around May onwards. Conger and thornback rays make up the bulk of catches throughout the summer and codling and whiting will show from October. The potential fishing area here is vast and by walking away from the noted access points you could find a patch of ground that rarely sees angling attention. Look for likely features in the otherwise bland geometry of the sea bed. Gulleys and patches of broken ground could potentially hold fish over high tide. Bait - Large dug ragworm baits could tempt a sole and are also likely to find bass and flounders. Lugworm scores for codling and whiting during the winter months whilst the rays and conger will take squid and fish baits. Use crabs for bass and don't be afraid to cast them just on the edge of the boulders where the fish patrol. Species: Cod, conger, thornback, bass, whiting, dogfish, smooth hounds and sole. General - Often referred to simply as the MOD in reference to the Ministry Of Defence compound that until recently overlooked Saint Thomas's Head, the mark is also known locally as The Admiralty or The Priory. To find the car park follow the post code and when approaching the Priory turn right, just before you reach it, along the gravel track, go through the gate (making sure to close it after), and park in the National Trust car park at the end. Walk up the steps and follow the path that will begin to climb up on to the top of the hill. From here, the cliff edge lined with gorse bushes to the left of the old MOD base will become evident and narrow rabbit paths will guide you down the cliff.Fishing mostly takes place at low tide from the sand a couple of hundred yards to the left of the old MOD base, or from the rocks in to river on the edge of Woodspring Bay. All of the marks here require a bit of a walk, so a certain level of fitness is necessary. Tides - Neap tides are necessary to fish the area around the river mouth where the ebbing tide flows hard. It's possible to fish further round towards the river mouth early in the ebb, but at low water on spring tides, the entire point dries out. Bigger tides are preferred for the cleaner ground to the west where you will be fishing from sand and mud. Chest waders will enable you to get a little extra distance here which can pay off when fishing for some species. Fishing at high water is possible, though not as productive. If you want to fish at low tide, it is advisable to arrive at least three hours before as with most channel marks, it does get busy here. Tactics - Pulley rigs loaded up with suitable baits and cast as far as possible is the tactic deployed by most anglers here. If fishing a second rod, a three hook trace with smaller hooks could search out a specimen sole. The sole can be caught incredibly close to the shoreline and are often of a good size with 3lb+ a real possibility. Smooth hounds will show here from June onwards and are best fished for on neap tides during a settled spell of weather. The early ebb tide is the most productive period for these fish. Bait - Lugworm, crab and ragworm work well for the cod in that order of preference. Crab will take bass in the spring and summer. Worm baits score for sole and the rays will take practically anything, though squid is a highly effective bait and it will also pick out the better cod during the winter. NOTES - It will take a fit person around fifteen minutes to reach the marks on the front which are accessed to the left of the old MOD compound. Because chest waders are useful on the marks themselves, you may wish to carry them out there on the top of your seat box. The ground here is mixed and tackle snags make up the bulk of the obstacles, but there is the odd iron stake and the remnants of test equipment abandoned by the Ministry. The shallower ground towards Middle Hope Bay can be productive for bass in the summer months and light tackle can be used at close range to get the best out of these fish. Smoothhounds are generally caught at the end of a big cast. Species: Cod, conger, thornback, bass, whiting, dogfish and smooth hounds. 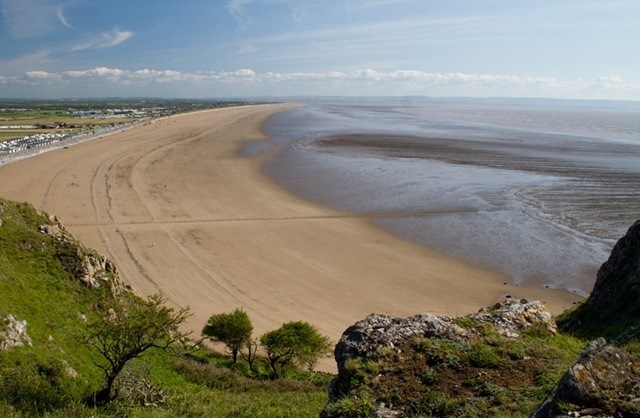 General - Sandpoint is a long finger-like rock promontory two miles north of Weston-super-Mare. It is owned by the National Trust and popular with walkers. Fishing takes place on both the north and south side of the point with the north being the most popular. The Pay and Display car park is at the very northern end of the Sand Bay coast road. The carpark is owned by the National Trust so if you plan on fishing the point a lot, rather than paying in to the parking machine each visit, it may work out cheaper to become a member of the National Trust. Tides - Sandpoint can be fished at practically any stage of the tide and any size tide, neap or spring. The most popular choice is fishing over low water on the north side where various reefs emerge from the water around two hours before low water. On bigger tides, a reef known as the knuckles a couple of hundred yards back from the point itself will emerge and this makes a very comfortable platform to fish from. It is also possible to fish this general area over low water neap tides. On the ebb the tide will flow right to left. When the tide floods, initially it will run right to left as water is sucked towards the point, before it increases in volume and runs left to right. Tactics - Most anglers fish here with heavy tackle in an effort to combat the serious terrain. The ground is very snaggy in places and rotten bottom rigs together with a bucket full of 6oz leads are essential. When you pull your end tackle from the sea bed wind like fury and don't stop. Pulley rigs are a firm favourite and will ensure the lead is not trailing behind a hooked fish. The south side of the point is shallower but also cleaner and could be fished with lighter tackle. This is also the more productive area to fish over high tide from the grass. Bait - Lugworm, crab and ragworm work well for the cod in that order of preference. Crab will take bass in the spring and summer. Squid, mackerel and bluey will take thornbacks throughout the year. At low water you will occasionally find hermit crabs and edible peelers. These can be a devastating bass and smooth hound bait. NOTES - It will take a fit person laden with fishing tackle around 15 minutes to reach the end of the point. The initial walk up the steps is a little steep but after this it levels out. Great care should be taken climbing down the cliffs to access the low water marks and we would highly recommend spiked boots to assist with this. If you walk straight up and over from the inner car park you'll reach Middle hope bay. This lies between the point and the MOD and can offer productive fishing throughout the year. It is also a less physically demanding mark to reach, though it does require a bit of a walk and the steps are steep. Species: Cod, conger, thornback, bass, whiting, dogfish and flounder. General - Kewstoke Rocks lie on the southernmost flank of Sandbay and are accessed by leaving Weston-super-Mare on the old toll road (no longer in operation). Numerous fishing marks can be found on the seaward side of the toll road, all of which are referred to as Kewstoke Rocks. Locals also refer to the area as 'The Ladder' in reference to a steel ladder that was once bolted to the cliff face alongside the largest ledge to aid anyone potentially becoming cut off by the flooding tide. Tides - This is a high tide venue which can be fished for around 2 ½ hrs either side of high tide. Middling to Spring tides are favoured here as they tend to push fish in to the bay. Neap tides seem not to be as productive. Huge tides can pull very hard and make it tricky holding bottom on the predominately sandy sea bed. A tide of around 11.5m on the Weston-super-Mare scale is perfect. Tactics - Using two rods to cover different distances can pay off here. Fishing with larger hooks at long range and a flapper with smaller hooks cast on to the sand can work well. Expect to find the rays at long range on the mud. During a productive cod season it is possible to catch codling here at long range too. Bass can be taken at very close range, as can flounder and odd sole which often patrol the edge of the mud. Calm autumn nights can see some good whiting fishing along with some big conger which move from the nearby reefs to feed on the whiting. Bait - Ragworm is a great all round bait here and will catch anything that swims at Kewstoke rocks. If rays are on your hit list then a whole squid or squid & bluey cocktail takes some beating. Lugworm is undoubtedly the number one cod bait and these can be dug in good numbers at nearby Sand Bay or Weston town beach. Crab baits fished at close range on light tackle can account for bass between May and July. When whiting are plentiful mackerel often sorts the bigger fish. A strip of fresh whiting can be highly effective for the congers. NOTES - Parking is limited to just a few lay bys along the toll road so arrive early if you have a particular mark in mind. Visiting anglers are advised to park at the Weston end of the toll road and take a stroll without there tackle first. A walk along the toll road will reveal numerous access points, some obvious and some not so obvious, so it will pay to survey the area at low tide first. The Sandbay end of the toll road offers a unique little spot tucked up in the corner of Sandbay where you can fish from the boulder sea defences and small shingle beaches in between them. This is a noted bass hot spot in the early summer but it can also produce good bags of flounder and eels in the autumn. A drop net could be advantageous on some marks along Kewstoke rocks so consider this when surveying marks. General - Anchor head can be found by parking along Birnbeck road above Birnbeck Pier. Fishing generally takes place above the old slipway which is exposed over low water, though some anglers will fish the high section of wall closer to Birnbeck Pier and the wall leading around towards the Marine Lake. The pier itself was once a productive fishing mark but due to years of neglect, it is now closed to the public. Do not under any circumstances attempt access to the pier. Tides - Larger tides are favoured throughout this stretch. As a rule of thumb, high water marks in and around Weston Bay are best fished on larger tides and Low water marks on neap tides. 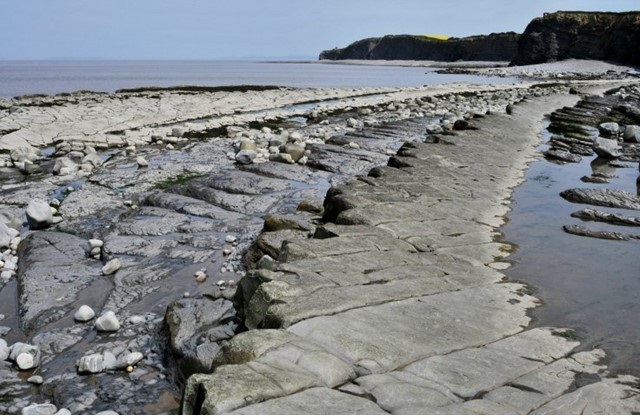 A tide of around 11.5m is perfect for the stretch between Anchor Head and Birnbeck. It is possible to fish for at least two hours either side of high tide along this stretch. At low water a large pool is revealed below Birnbeck Pier. Some anglers have enjoyed success with mullet here in years gone by but if you are tempted to try it, stick to the landward side and keep an eye on the flooding tide. The pier is private property and trespassers have been prosecuted in the past. Tactics - The ground here varies from clean patches of mud and sand to tackle hungry rocks and other obstructions such as sprat net poles. Big casting with clipped down rigs can be beneficial, especially if fishing from the head itself where a cast of 120yds (approximately) will put your bait on clean ground the other side off the slipway. 4/0 pennel pulley rigs will work for rays, codling, bass and conger. The use of heavy hook snoods and rig bodies helps reduce the risk of abrasion on the sea bed and also increase your chances of landing one of the larger congers which inhabit the area. Bait - Squid is good all-round bait and is the favourite for the rays and conger but also picks up codling and bass. During the winter, whiting and codling will take lugworm with both black and blow lugworm scoring. Mackerel strip baits can help to sort out the bigger whiting. Bass can be taken from amongst the rocks on fresh peeler crab baits and the same tactic can score for some nice spring codling. NOTES - There are many places to fish along this stretch but during the summer the entire area becomes busy with holiday makers. This both impedes your fishing but also means that parking is difficult. Early morning tides are best to avoid congestion. Knightstone Island lies just the other side of the Marine Lake causeway and offers a popular alternative to Anchor Head. There are very few snags at Knightstone and this plus deep water make it a popular spot with beginners. Jansen actually caught his first sea fish here! The fishing at Knightstone however is not generally as productive as at Anchor Head. Do not attempt to fish or cross the Marine Lake causeway when the tide is flooding as tides over 10.5m on the Weston-super-Mare scale will breach it. General - Weston beach is a very productive venue which is often overlooked. The water is fairly shallow but a variety of species can be taken as they are pushed in to the bay on the flooding tide. Access is excellent meaning that both junior and disabled anglers can enjoy some fishing here. It's a popular match venue too. 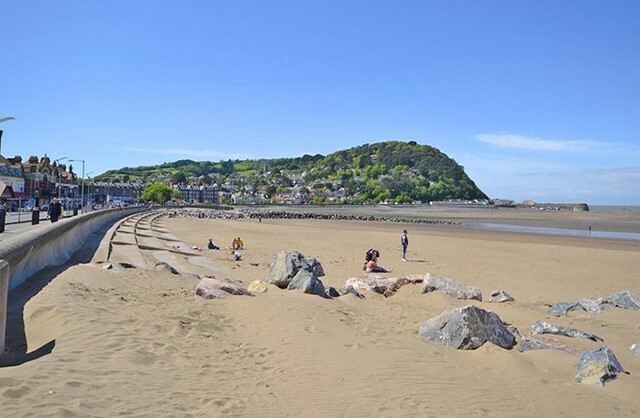 The sea front is signposted as soon as you leave the M5 and Pay and display car parking is available both on the beach and the adjacent Marine Parade. Marine parade and the beach are closed at night BUT if you are already parked before the gates are shut you can still drive out! If you do not mind walking there is limited 'Free' parking in some of the side roads opposite the beach BUT watch out for any resident parking areas. Tides - There is a surprising amount of tide here for a beach tucked right up in a bay. Big tides see a strong right to left pull which can be tricky to hold bottom in. 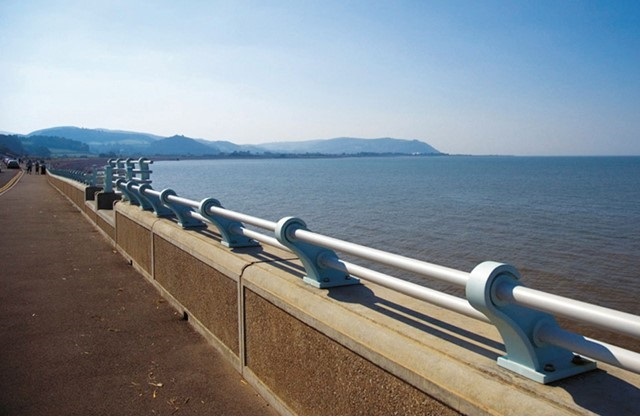 Medium tides of around 10.5m on the Weston-super-Mare scale are ideal. Very small neap tides offer almost zero tide and are favoured by locals for flounder. This lack of tide also means that junior anglers can fish effectively with light tackle. Aim to fish the 2 ½ hours before high tide and an hour back (often the most productive time). Bait - Lively fresh ragworm work well for the flounder. Lugworm can be dug from the beach itself and will catch most of the fish found here. Squid is an effective bait for both rays and congers. NOTES - Most locals would agree that the beach fishes best between September and December, though the spring in to summer can be productive. During the winter there is a good chance of landing some healthy flounders and a good fish for the beach would be nudging 2lb in weight. The beach can fish well for bass, flounder and eels during the summer months, but being a popular holiday beach trip are best made on early morning or night tides. The southern end of the beach is used by windsurfers so this area should be avoided but there is plenty of space to fish between the Grand Pier and the old Tropicana. Species: Thornback rays, conger, dogfish, bass, codling, whiting, eels, flounder and smoothhounds. General - Brean Down is a daunting finger of rock that lies between Weston and Brean. This looming headland requires a strength sapping ascent of over 200 steps to gain the summit so it is not for the feint hearted. Parking is in the National Trust Pay and Display car park at the end of Brean Road. If you intend to fish here a lot, it could be cheaper to join as a member rather than paying the parking fee each time you visit. Parking times are limited with the car park closed at night but if you are 'in' then you can still get out once it has shut! 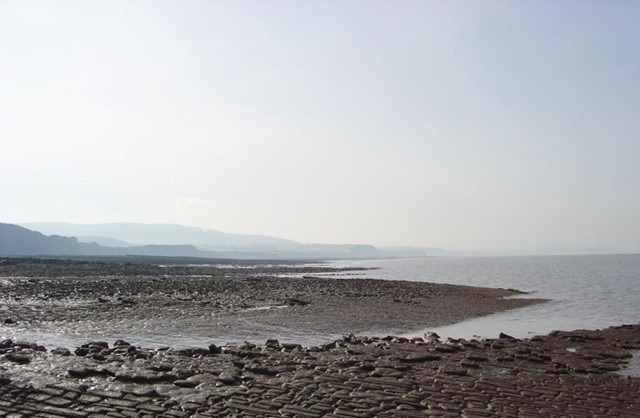 Tides - Owing to its location, the tide at Brean Down can pull hard at times. The most popular time to fish the north face is over high water where tides of between 9.5m and 10.5m on the Weston-Super-Mare scale are perfect. Aim to fish 3.5 hours before and 2 hours back. The tide will run almost continuously from right to left as you fish in to a large back eddy that forms in Weston Bay. The north and south faces can be fished over low water, with the fort area at the end of the down a popular location, but be prepared for a big walk. 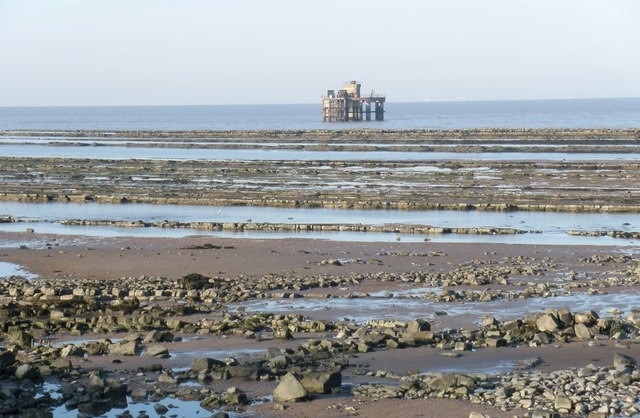 Tactics - This is possibly the best thornback ray venue in the entire Bristol Channel and fish can be caught all year round. The best time for a big female fish is January to March, but locating one can be a numbers game and you may have to wade through a lot of smaller fish. Pulley rigs of around three feet in length cast out on to the mud should find the fish. Casting crab baits at very close range on to the rocks over the top of the tide should find codling and bass in season. Smoothhounds can be caught here, so pulley rigs armed with 3/0 hooks and crab baits will find these fish which tend to show towards the end of the down during the summer months. Bait - Squid, bluey and mackerel will take rays and conger. Lugworm will catch codling and whiting. Whiting can be an excellent bait for rays and conger. Use crab for smoothhounds and bass. NOTES - Brean Down is not a mark for the unfit, especially when you consider the number of leads you may need to carry as well as a couple of litres of water in your rucksack. As you head out along the track, you'll find many rabbit paths leading off down to the cliffs, some offering easier access than others. The cliffs can be tricky to negotiate and in many places you will fishing from a considerable height above the water, so it's probably best to avoid this area if you suffer from vertigo. A net will be useful to land fish here, as will a set of boots with spikes so that you have some good grip on what can be slippery rocks. Brean Down is one venue where it could be sensible to wear a life vest. Species: Thornback rays, conger, bass, codling, whiting, flounder and sole. 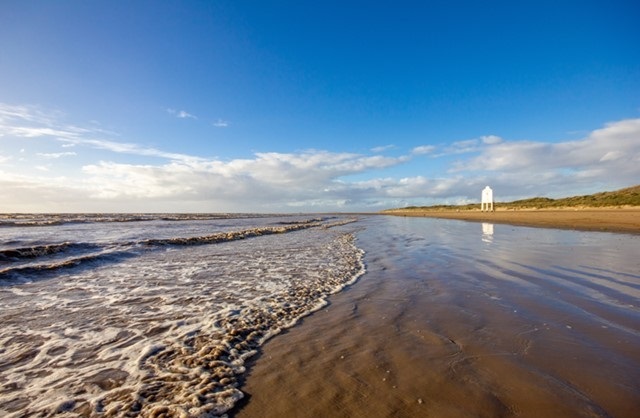 General - The beaches of Brean and Berrow are extremely popular with holiday makers in the summer, but as a fishing venue this is another one that is overlooked. The beach offers around three miles of sand to fish from, though arrive too early in the tide and it will be mud. At one time a popular match venue that would see hundreds of anglers lined up, it now receives little angling attention, even though the fishing potential remains almost as good as back then. The coast road runs parallel to the beach and there are numerous access points along its length. You park on the beach (Pay and display in the summer) at Unity Farm and Brean but note the gate closing times to avoid getting locked in! Tides - It is only possible to fish here over the high-water period. Aim to be on the beach three hours before high tide. Do not attempt to fish any earlier as the mud will be exposed and it can be deep and dangerous in places. The tide here does travel up the beach at an alarming rate. The flooding tide will normally push left to right. A tide of between 10.5 - 11.5m on the Weston-super-Mare scale is perfect. Tactics - A favoured method here is to tie up a three hook flapper with very big hooks and strong snoods. Some locals will use 6/0 hooks tied to 100lb snoods. Bait the hooks with large squid, bluey or mackerel baits. Use a large reel capable of holding 400m+ of 20lb line. When you arrive place the rig at the edge of the water and walk back as the tide advances paying out line as you go. Try and leave the rig out for as long as possible as the biggest fish often take right on high tide. Locals refer to this as a walk back and it is possible to empty a reel of line. Standard tactics also work well with pulley or up and over rigs picking up rays, conger and codling. For smaller species, standard three hook flapper rigs with size #2 hooks work well at short to medium range. Bait - Squid, bluey and mackerel will take rays, conger and bass. Lugworm can be dug on the beach and this is the top bait for codling and whiting. Small ragworm will catch flounder and occasional sole. NOTES - The beach here is vast and exposed to the elements, so ensure you wear appropriate clothing. Chest waders are favoured here as they enable you to walk out in to the surf if you wish to cast a bait as far as possible. A strong onshore wind in the winter can bring the codling on the feed and this is another venue that was once a fine winter fishery. The tide here really will chase you up the beach, so travel light and leave any luggage in the car so as not to get it muddy, sandy or wet. A bucket can be useful to store your tackle and to sit on and it can be wiped clean at the end of the session. The beach will be popular in the summer as holiday makers flock to the area so as with any sandy beach in the channel, early morning or night tides are best. General - The lower light at Burnham is an excellent venue for a number of species. Fishing is from sand and mud in to the Parrett estuary which draws fish in from Bridgwater Bay. Over the years, many weird and wonderful fish have been found on the banks of the estuary including triggerfish and mackerel! The area around the lighthouse and to the south is popular, but because of the increased depth of mud, it is not recommended to fish to the north of the lighthouse. Tides -The lower light can only be practically fished on neap tides, owing to the tremendous pull as the tide floods the estuary. 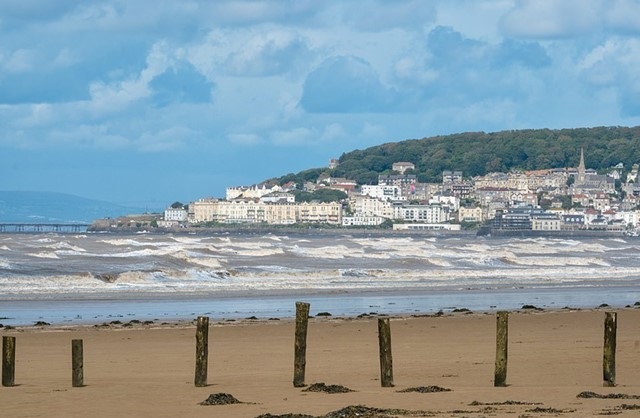 Many locals used to prefer to fish from low tide up to high tide on a tide of around 9.5m on the Weston-Super-Mare scale but the beach here is constantly changing and mud levels seem to be increasing, particularly on the lower beach, and have reached dangerous depths in some areas. It is still possible to get to the low tide line in places but you need to take extreme care and seek local knowledge when doing so. Most competition organisers now start their matches at around mid flood so If in doubt following this guide and starting fishing three hours before high tide is just as productive and a lot cleaner! The early ebb can also be productive and shouldn't be neglected, especially if the flood has fished well. Tactics - Big casting will not be necessary here early in the tide, so a moderate cast with a pulley rig and 4/0 hooks will put you in to fish territory. As the tide nears high water extra distance can help and it is possible to wade out and gain a little more distance. Casting very close in with small hooks can offer some good sole fishing in the summer. Bass will show during the early summer when the sea has plenty of life to it and the same conditions in the autumn and winter are the prime time to target codling. Bait - Squid, bluey and mackerel will take rays, conger and bass. Lugworm will catch codling and whiting. Ragworm will catch flounder and sole. It is possible at times to dig some lugworm here whilst you're fishing but it should not be relied upon as the mud can at times cover the worm beds. NOTES - Chest waders are almost essential here if you want to stay relatively clean! Once you have fished in the mud and been pushed up on to the sand, you can wade in to the shallows to give them a good clean off. Burnham is a magnet for dog walkers so make sure to keep baited traces out of sight. Dogs are often allowed to run out of control and have been known to grab rigs hanging from tripods! Species: Codling, whiting, conger, silver eels, bass, rays flounder and occasional sole. General - The sea wall runs the length of Burnham sea front but fishing here generally takes place between the pier and Yacht club. 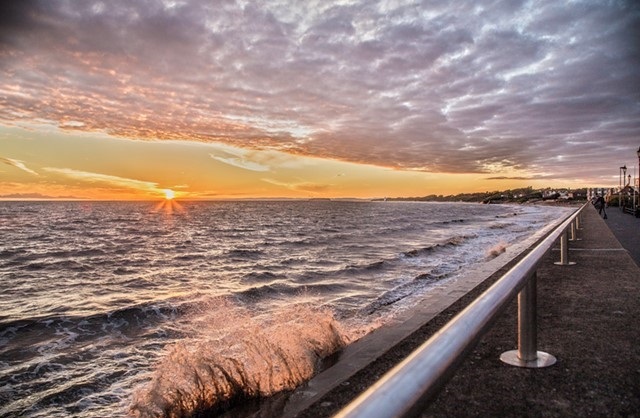 You can park on the main road running the length of the sea front and it is free to do so from October to March (pay & display at all other times). The wall is high but access can be gained to the steps below at various points along its length and it's advisable to fish at these points if possible to enable you to land larger fish. Tides - The wall is a high tide venue fishable for 1 ½ hours either side of high. Springs generally best as neaps barely reach the wall and only give very limited depth. Tactics - Pulley rigs are favoured when targeting the larger species, but three hook flappers fished at short range will take flounders, eels, soles and school bass in season. Bait - Squid, mackerel or bluey are favoured by the locals when targeting rays and conger. Fresh whiting can also be excellent for conger. Blow lugworm works for codling, whiting and flatfish whilst peeler crab can account for bass during the late spring and early summer. NOTES - You will be fishing from the promenade and this is a popular area for walkers so always be conscious that they have the right to be here too. The sea wall itself makes a great rod rest so there is little need to use a tripod. The venue can get extremely busy in the autumn with matches as well as pleasure anglers and it's not unknown for anglers to arrive a couple of hours before the water hits the sea wall to pick their favoured spot. Do not attempt to fish here at low tide- The mud in the Parrett estuary can be treacherous. General - The sea wall is on the south side of the River Brue and is about a 1 mile walk from Highbridge. Access is gained by following the private water board road next to the Huntspill River. As the gate is often locked it is recommend to walk to avoid the risk of being locked in. The actual fishing is from a concrete sea defence that runs the length of the foreshore and the sea bed consists of small stones, clumps of weed and plenty of mud. Tides - The wall is a high tide venue fishable for 2 hours either side of high. Medium tides are best as neaps barely reach the base of the wall and big spring tides over top the sea wall making fishing difficult and wet! Tactics - The tide can run hard here and it is advisable to cast uptide with breakout style 6oz leads to hold bottom. Pulley rigs with 4/0 hooks will land the larger species, but smaller hooks fished at close range will account for flounder, whiting and sole. Bait - Lug and rag work well for the smaller species with squid or squid and bluey cocktails sorting out the rays and congers. Peeler crab is favoured for bass. NOTES - The mud here is very deep in places and we would not advise anyone to attempt access to the tide line across the mudflats. 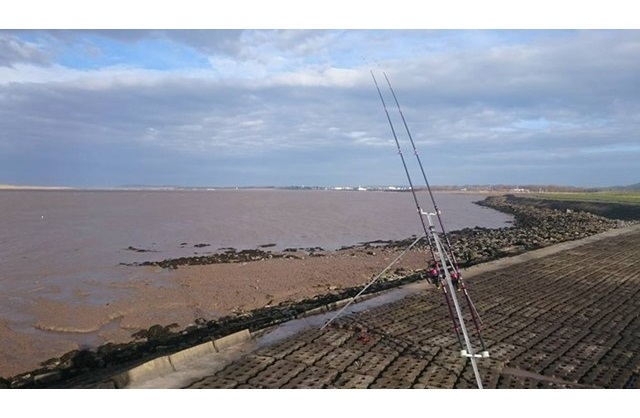 This is a brilliant place to fish for new anglers who want to sample sea fishing for the first time, or those who favour hard ground under foot. If leaving the venue late at night, be considerate of those living alongside the access point by keeping noise and headlamp beams to a minimum. Species: Codling, whiting, conger, silver eels, bass and rays. General - If you follow directions for the postcode above it will take you to Gorpit Lane. The beach car park can be found at the very end of the lane. You can fish from either the sea wall towards Hinkley Point or the shingle beach in front of the car park and away to the right. The sea bed is a mix of sand, mud, pebble banks and reef but if you arrive early you can see the sea bed where you will be fishing allowing you to pick a likely looking spot. Tides - Stolford is a high tide venue fishable for 2 ½ hours either side of high. Springs generally best as neaps only give very limited depth. Tactics - It is worth tying a mix of rigs with a size 1/0 2 hook flapper working well for the codling and smaller species whilst a 4/0 pulley pennel rig with a bigger bait will find the rays and congers. It is also worth varying your casting distance to find out if the fish are following the edge of the shingle or further out in the tide. The tide can be quite strong so grip leads are recomended but 5oz or 6oz will be sufficent to hold bottom. Bait - Lug and rag work well for the smaller species with squid or squid and bluey sorting out the rays and congers. NOTES - The mud here is very deep and soft so DO Not be tempted to wander too far out from the bottom of the bank. 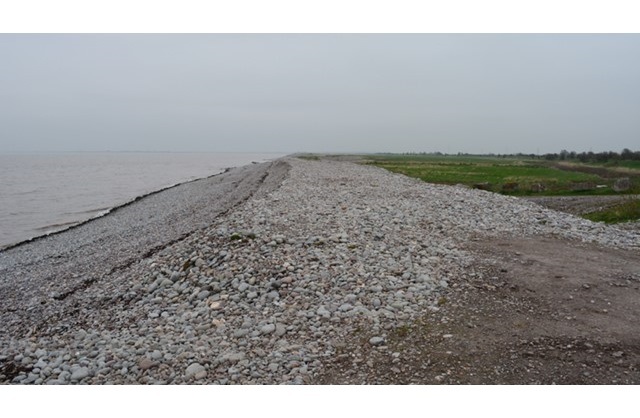 Since the building of the new sea defences the shingle bank is no longer being maintained so as time goes on you will need to take increasing care that you will not be cut off or worse. Particular care needs to be taken on big spring tides or during rough weather which causes large swells to run up the shingle. Species: Cod, whiting, conger, silver eels, bass, thornback rays, smooth hound and occasional large sole. General - Access is via a lengthy walk from Stolford carpark along the prom that forms the base of the sea defence. When you reach the power station, the foreshore is gained via a slip way that runs down on to the beach. From here, head out towards the reefs that run the entire length of the power station. They will expose approximately 3 hours before low water. This not a walk for the unfit. Tides - Most anglers choose to fish the reefs here over low water, with some favouring spring tides and some neaps. It is also possible to fish 2 1/2 hours either side of high water from the sea wall that runs between the power station and Stolford. Spring tides are essential for fishing here at high tide. Tactics - Heavy tackle should be used here as the sea bed is very rough in places. Rotten bottoms are essential and most locals favour the pulley rig. 4/0 hooks are suitable for the larger species encountered here but a big sole will have no problem taking hooks of this size. Big casts are favoured, though it is possible to catch bass at extremely close range in places. Bait - Big lugworm and squid cocktails are favoured for winter cod and specimen thornback rays. Conger will take fresh whiting. Peeler crab is essential for smooth hounds that can run to exceptional sizes. Big ragworm baits could tempt a specimen sole but be prepared to put some hours in. NOTES - It is possible to get cut off on some of the reefs here, so either visit the venue with someone who has experience of it, or carefully asses the flooding tide at regular intervals (The area to the right of the outfall is particularly dangerous on the flood). During the construction of Hinkley C, it is likely that access to the venue could change. Do not under any circumstances attempt to access the power station itself. The area is patrolled by armed guards who would have no issue with escorting you back to your vehicle. General - Access the foreshore along the farm track and though the gate. Once at the beach, the pipe is to your right. The reefs to the left are incredibly flat and you could be mistaken for thinking they are man-made. For this reason, the reef is very popular and as such lost tackle forms as much of a potential snag threat as those obstacles found naturally. Tides - You can either fish from the pipe around high water or from the Reefs to the left over low water. If you choose to fish over high tide by the pipe, a very long cast is required to reach clean ground especially on larger tides. Tactics - Heavy tackle should be used here as the sea bed is very rough in places. Rotten bottoms are essential and most locals favour the pulley rig. 4/0 hooks are suitable for the larger species encountered here. Smaller hooks can take whiting, eels and other species. Big casts are favoured for rays and smoothhouds and it is possible to catch bass almost under the rod tip. The pipe is a noted mark for rays. Most are small thornbacks but in recent years both spotted rays and blonde rays have put in an appearance. Although it would be difficult to specifically target these fish, if you are prepared to put a few hours in between May and June during settled weather, you might just get lucky. Neap tides over high water and the ebb are favoured, as the flow will not be so strong that it pins your mainline in to the boulders resulting in a snag. Bait - Big lugworm and squid cocktails are favoured for winter cod and specimen thornback rays. Conger will take fresh whiting. Peeler crab is essential for smoothhounds that can run to exceptional sizes and are predominately taken over low water. NOTES - The carpark at Lilstock is privately owned and anglers have been kindly granted permission to park here. Under no circumstances should you try to take your vehicle through the gate and on to the beach. This is popular venue and it is advisable to arrive early in order to bag a spot. Species: Smooth hound, codling, conger, thornback, bass and dogfish. General - When you arrive at the village of Kilve itself, turn in to sea lane and the pay and display carpark is at the far end of the road. From here, take the track over the bridge, turn right across the park area and the sea is directly in front of you. Walking straight down from here will take you to a series of reefs, all of which can produce fish. Tides - It is only possible to fish effectively here over low water as the foreshore at high tide is festooned with large boulders. Medium to large tides are preferred as more reef becomes exposed. Aim to start fishing here three hours before low water and finish three hours in to the flood. The tide runs right to left on the ebb and left to right on the flood here. Tactics -During the summer this a productive smooth hound venue and pulley rigs carrying 4/0 hooks baited with crab are the only way to go. Cast as far as you can and fish uptide. Use a rotten bottom clip as the ground is snaggy in places. A mainline of around .40mm is advisable as are fast retrieve reels to get your tackle back up in the water. The same tactic can be deployed in the winter but substitute crab for lugworm. Bait - Crab is the only bait worth taking in the summer if you want to catch smooth hounds. Squid, mackerel and bluey will take rays, dogfish and conger. Bass can sometimes be caught when fishing for smooth hounds with crab. Lugworm is by far the best bait for cod during the winter months. NOTES - Waders can be useful here and will enable you to access the reefs as early as possible. This early period in the ebbing tide can be a productive one for smooth hounds. Although the ground is rough, too thick a mainline will restrict your casting distance and prevent you from hitting the main run of tide which is where you are more Likely to hook fish. If you arrive late, do not fish too close to others as it is often necessary to cast uptide to hold bottom and you'll need some space to allow for this. General - Parking is available in the small Pay and Display carpark at the Home Farm holiday park. Access to the beach is via a very steep path and steps so this is not a venue for the infirm. At the bottom of the steps turn right and walk past the waterfall to the main beach. You will be cut off here until two hours after high water so you need to time your arrival and departure to take this into account. Tides - Most anglers choose to fish at high tide from the main pebble beach here which offers comfortable fishing casting on to fairly clean ground. Spring tides are favoured as they present a good depth of water on an otherwise shallow venue. You can also fish over low water either side of the bay. High water and the turn of the tide often proves to be the most productive time on the main beach. Tactics - If fishing from the main beach it is a good idea to fish with two rods. This will enable you to fish with a big bait on one and multiple smaller baits on the second rod at closer range. Rays, conger and occasional smoothhounds will be caught further out and whiting, pout and eels can be taken very close in. It is possible to cast a big bait early in the tide and walk back paying out line as it advances, thus leaving your bait in deep water beyond the range of even the biggest caster. Bait - Peeler crab and squid will take all of the bigger species found here, though a fillet of fresh pout can prove deadly for conger in the autumn. Worm baits tipped with strips of fish will take whiting, pout and dogfish. NOTES - There is no public access through St. Audries Bay Holiday Park so make sure to use the Home Farm car park. The reefs either side of the bay can offer some productive fishing but it is essential to fish here for the first time with someone who has practical knowledge of the venue. During the flood, the tide can backfill without you realising it and it is possible to become cut off. The walk to the reefs at the east of the bay is a considerable one so travel light, but carry enough leads to account for potential losses. General - Doniford is situated just west of St. Audries and as such the best way to gain access is from the Home farm carpark that you would also use for St. Audries. 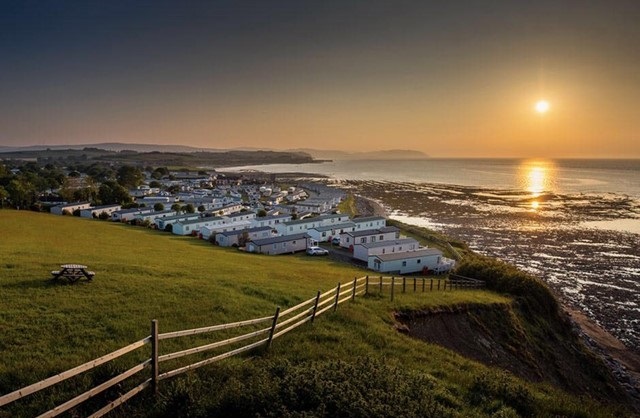 Walk out around the headland and you'll immediately see a caravan park on the hill side. Fish in front of here approximately two hours before low water and up to two hours in to the flood. The water does run out here extremely quickly and is also very shallow. The fishing however can be excellent. Tides - Neap tides over low water are the most productive time for all round fishing, though it is possible to fish over the top of the tide in front of the holiday park in places. Tactics - A big cast will put your bait in fish territory, though it is possible to catch bass in the shallow surf. The ground can be a little snaggy in places and it is advisable to use a weak link (rotten bottom) to prevent heavy tackle losses. Travel light as you will be moving back with the advancing tide. Bait - Peeler crab for smoothhounds, mackerel and squid will take all of the other bigger species found here, though a fillet of fresh pout can prove deadly for conger in the autumn. Worm baits tipped with strips of fish will take whiting, pout and dogfish. Winter codling will take lugworm. NOTES - As with many of the west Somerset marks, Donniford requires a lengthy walk over some harsh terrain so a degree of fitness is required. Anglers are also reminded that access is only possible thanks to the kind permission of the landowners here and as such their will and private property should be respected at all times. The tide will come in quite quickly here so travelling light is a good idea to avoid getting swamped out. Many anglers will fish here over low water and then move on to a high water mark such as Blue Anchor in order to make a longer session. An alternative is to move east once you are pushed off of Donniford and fish in to thew small bay in front of the Home Park site. Some very big conger have been landed from these reefs in years gone by. PLEASE NOTE THE OLD BEACH CAR PARK IS NOW CLOSED. General - Often overlooked as a fishing mark, but the harbour wall at Watchet Marina offers easy and comfortable fishing close to the car park and shops in this small coastal town. For the more adventurous there is some good fishing to be had from the low water reefs to the west of the town but you should seek local advice and guidance as there isa risk of getting cut off by the fast flooding tide. Tides - The wall is subject to a strong tidal flow so neap tides are recommended to fish here. The ebb can be particularly strong. Tides of around 9.5m on the Weston-super-Mare scale are perfect. You can fish approximately three hours either side of high water. Low water reefs to the east of can offer some productive fishing, also on neap tides. Tactics - The use of two rods can be beneficial. Smaller hooks in close and larger hooks fished at range will give you some idea of what's going on. Pulley rigs are the most used rig and work effectively for all of the larger species. Bait - Peeler crab for smoothhounds, mackerel and squid will take all of the other bigger species found here, though a fillet of fresh pout can prove effective for conger in the autumn. Worm baits tipped with strips of fish will take whiting, pout and dogfish. Dogfish can be a pest here at times and will pounce on any bait set before them. 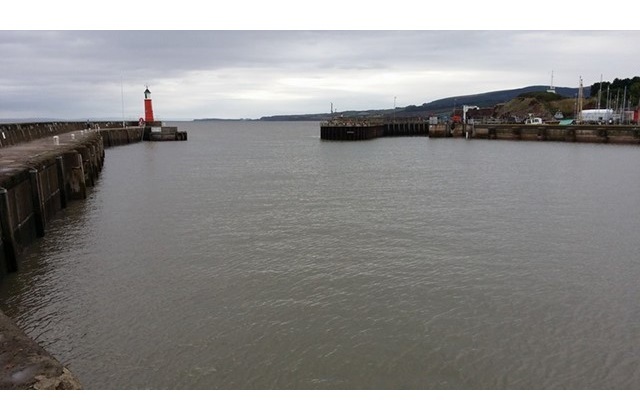 NOTES - Watchet Marina is subject to heavy boat traffic at certain times of the year so careful attention should be paid to passing vessels at all times. Water traffic has priority over anglers who are kindly granted permission to fish from the wall by the local council. The bend in the sea wall is a favourite spot and if you want to fish here it is advisable to arrive early. A walk along the pier at low water will reveal any snags and give a general idea of the type of ground you will be casting over once the tide comes in. Fishing inside the wall with LRF tackle can be fun for small flounders and mini species as well as the chance of a mullet. The wall is exposed to Westerley winds and should not be fished in rough seas which often break over the top. . Species: Conger, thornback rays, small eyed rays, dogfish, bass, codling, pouting, whiting and smoothhounds. General - Blue Anchor offers something for everyone and is probably the easiest access fishing spot in the Channel where you can even fish from the comfort of your car if you wish! Free parking is available along most of the wall but please be considerate to pedestrians and make sure not to block the pavement with your rod stand. The beach to the west offers a slightly quieter fishing experience other than the occasional passing steam train. Open competitions are staged at Blue Anchor several times a year. Tides - The wall and beach are fished over high water and spring tides are favoured, although smaller tides can fish well on the beach if the sea has some life in it. Aim to fish 2.5 hours before high tide and two hours back. High water and the ebb are often the most productive time to fish and even if the fishing has been slow up until this point, it can suddenly switch on as the tide starts to ebb. Tactics - Multi hook clipped down rigs are the way to go for mixed fishing, with dogfish, whiting, pout and codling often taken when using these tactics. For rays, conger, bass and smoothhounds, a pulley takes some beating. There have been many conger exceeding 30lb in weight caught during the autumn and winter of years gone by, so it's worth stepping up your trace to at least 100lb if you're serious about fishing for these. Bait - Most anglers will fish small worm baits tipped with strips of squid, fish or sandeels. This will give you a rough idea of what the fish are taking. Slightly larger hooks on pulley rigs should be fished with sandeel baits for the small eyed rays which can show here from time to time. If you are specifically targeting big conger, fresh pout takes some beating. These can be fished for on a second rod. NOTES - A lot of the sea wall is lined with boulders at its base meaning that any hooked fish has to extracted over this obstacle. Anglers have been known to take a short step ladder down so they can climb down on to the boulders to net their catch. In some places you can access the water via steps. Fishing from the beach is without this consideration, though if there is a big sea running, this presents its own challenges. The wall can get extremely busy so if you have a favoured spot in mind, it is advisable to arrive well before high tide. Some locals prefer the beach which suggests that the fishing could be a little better here. The tower at the end of the beach is a noted mark during the autumn and so can get busy. There is a Cafe at the western end of the sea wall which can provide some hearty fuel ahead of your session and may even fill your flask if you ask nicely. Species: Codling, conger, dogfish, bass, pouting, whiting and occasional smoothhounds. General - Dunster is a fantastic autumn venue and one of the first places on the Somerset coast of the Bristol Channel to produce codling each season. In good seasons is not unusal for the first ones to be reported as early as August. Pay and Display car parking is available right on the beach making this an easy venue to fish. If you wish you can fish straight from the boot of your car or if you prefer you can follow the coast path eastwards towards Blue Anchor and pick a spot you fancy. This is a handy high water spot to grab a few extra hours fishing following a low water session at another mark. Tides - Spring tides are needed here as neap tides barely reach the beach. Most anglers fish 2.5 hours up to high tide and 1.5 hours back. Big tides and rough weather can bring huge rafts of weed on to the beach which makes fishing tricky at best and at times impossible. High water and the ebb can be the most productive time to fish though no two tides are the same. Tactics - Varying your casting distance is a good move here as the codling and bass can often be caught at close range so do not become preoccupied with casting as far as you can. Distance casting does however have its place and the smoothhounds tend to be found at range. Pulley rigs with size 2/0 hooks are a good general rig for the codling and bass. Flapper rigs with small worm and fish baits can work well for the smaller species such as pout and whiting but use strong hooks as there is a good chance of codling or bass on the same tactics. Big conger are on the cards in the autumn so fillets of pout on heavy end tackle are the way to go if you want one of these. Bait - Lugworm is the king of the baits for codling, whiting and pout. If you are specifically targeting big conger, fresh pout takes some beating. These can be fished for on a second rod. An alternative to this could be whiting which is also a highly effective conger bait here. If you bait up with pout or whiting, be sure to use plenty of elastic to secure the bait to the hooks and make certain that the hook points are protruding from the bait. NOTES - Dunster Beach is a popular holiday beach so you are best advised to fish early or late during the summer to avoid swimmers, inflatable boats and endless stick chasing dogs! Walking away from the car park also helps to avoid the crowds and if you arrive early you can survey the sea bed from the coast path and pick a likely looking quiet mark. Some anglers park on the approach road to dodge the pay and display machine, but in doing so take away revenue that the Dunster estate would otherwise use to maintain the beach for all to enjoy. Species: Codling, conger, dogfish, bass, pouting, whiting, small eyed rays, sole, plaice and occasional smoothhounds. Tides - The beach itself fishes best on tides of around 11.5m on the Weston-super-Mare scale. Despite this, it is possible to fish here on any size tide, but a very large spring will push you right back against the wall at high tide. When the wind is onshore it is advisable not to fish a huge tide here. There is a steady run of tide on the beach but nowhere near as much as that found on the Golf Links where the ebb tide pulls very strongly. During rough weather, masses of floating weed can prove extremely troublesome and many anglers have come away from the beach having found it 'unfishable' at such times. Tactics - A lot of matches are fished on the beach and golf links and those taking part usually fish with a three hook clipped down trace to exploit the shoaling species such as Dogfish, whiting and pout. Plaice and sole are occasional catches. As with most of the marks here, a pulley rig or drop down pulley rig can be used to good effect for rays, codling and conger. Bait - Lugworm is the king of the baits for codling, whiting and pout. Big sole used to show from the beach and could be tempted with ragworm baits. Although numbers are nowhere near what they once were, it only takes one big fish to make targeting them worthwhile. Peeler crab can be a great spring bait on the 'links and will take codling and early bass. NOTES - The beach itself is a fantastic venue, but don't neglect the area further round towards the harbour. The more broken ground here can be quite productive and is tucked out of a strong west wind that would make the beach uncomfortable. The golf links can fish extremely well for codling during the autumn and winter but can get busy, especially on larger tides that fall after dark. The Town beach is very busy with holiday makers during the summer but a short walk on to the golf links will find the sands virtually devoid of holiday makers. Species: Small eyed rays, spotted rays, blonde rays, thornback rays, turbot, bull huss, conger, codling, bass, dogfish, smoothhounds, whiting and pout. General - White Mark and Greenaleigh can both be found by following the coast path west of Minehead harbour. White Mark is a patch of white paint adorning the rock face approximately half a mile west of the harbour. Greenaleigh is a further half a mile walk beyond this point and marked by the farm on the hillside above. Both are excellent spring and summer venues for ray fishing and anglers travel from miles around to tackle them from April onwards. There is ample Pay & Display parking at the western end of Minehead sea front. Tides - Greenaleigh is usually fished over low water on big tides and White Mark over low water on neap tides. The run on both venues can be quite extreme and a 6oz wired lead will be needed to anchor your tackle on the sea bed. White Mark becomes very shallow on a spring low water and if tackling Greenaleigh on a neap low water, it will require a bigger cast to reach the cleaner ground. The tide runs from right to left when fishing the ebb and left to right on the flood. Greenaleigh is often subject to a developing swell as the tide starts to flood and coupled with a sea breeze in early summer it can restrict your fishing time on the flood. Both Greenaleigh and White Mark can be fished 3 hours before and 3 hours after low water. Tactics - Drop down pulley pennel rigs are preferred by those targeting rays here. The biggest caster often enjoys better catches of rays, though fish can show at any range from time to time. Bass can be caught at short range, as can bull huss when there is plenty of colour in the water. Heavy gauge hooks are preferred here as a big blonde ray could show. Piling on the pressure to pull these fish from the sea bed could open out a standard gauge hook. Bait - For the rays, sandeel or launce wrapped up in squid will take some beating. Mackerel will also catch its fair share of rays but is seldom used simply because it will not cast as well as a sandeel or launce. Dogfish will take any bait and are a pest at times. Lugworm will score for codling in the autumn and winter. Crab picks up hounds in the spring but if about in numbers they will also fall for small squid baits. NOTES - Until recently, Greenaleigh boulders could be accessed via the farm above, but due to inconsiderately parked vehicles, this is no longer permitted. The walk should now be undertaken along the foreshore. Start by following the South West Coadt Path and just before the coast path heads up the hill, take the path down on to the beach and from here you will be trekking over pebbles, rocks and boulders. You cant's miss White Mark when you reach it. These marks are not marks for the unfit and getting used to walking on boulder takes some doing particularly when it is wet as they get very slippery. Species: Smoothhounds, bull huss, conger, rays, bass, dogfish, whiting, codling, pollack, spurdogs, mackerel, garfish, black bream and pout. 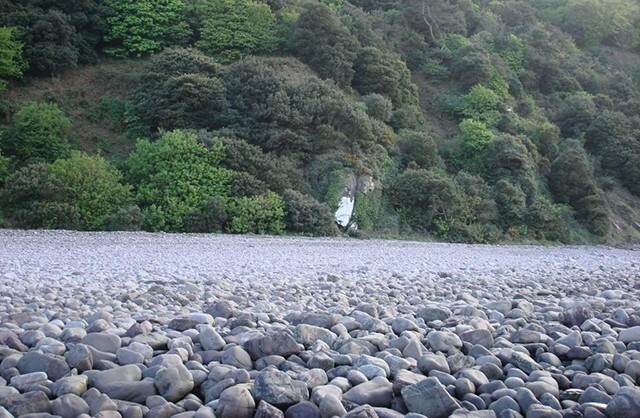 General - Bossington is a particularly scenic pebble beach on the edge of West Somerset. A reasonable walk is required once you leave the Pay & Display National Trust carpark in Bossington Village and the beach is signposted via a track at the end of the lane. Once you get to the beach the best fishing area is eastwards towards Hurlestone point and anywhere from the river mouth onwards is worth trying. As you can see from the species list you can catch a wide variety of different fish. One species however normally dominates catches and that is the dogfish! These can be a real pain but you need to accept that you could catch dozens of them and fish through them in the hope of getting a better fish. Tides - Bossington is usually fished on bigger tides, but the tide can pull very hard at times. 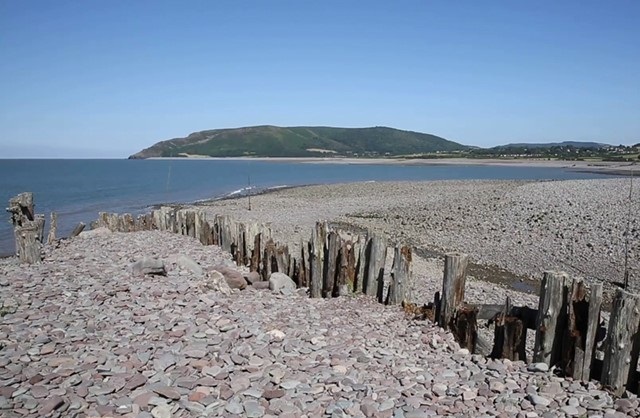 The flood tide is particularly strong and will run left to right but the ebb is nowhere near as strong as the main of run of tide deflects out around Hurlestone Point and in to Porlock Bay. Most anglers choose to fish here from low water up to high water, but it is possible to fish here at any stage of the tide. Tactics - The ground is snaggy in places and when the tide runs it can pin your mainline, leader and rig in to the bottom making it very hard to get your gear back. Uptiding is advised, but only pay out minimal line in an effort to keep it up off the bottom. Rotten bottoms are essential and there is also a case for using a standard gauge hook that will bend out of any snags. Fish such as blonde rays, spur dogs and smooth hounds are often taken at long range, but pout, rockling, bull huss and other species can sometimes be found very close in. Bass and pollack will patrol the area under your feet. The ground becomes snaggier the closer you get to Hurlestone Point. If fishing for spur dogs, be sure to use a wire biting trace. Bait - For the rays and huss, sandeel or launce wrapped up in squid will take some beating. Smoothhounds will take crab baits form about May onwards, smaller species will take worm baits tipped with squid and during the winter months, spurdogs prefer a strip of fresh fish and the dogfish will eat everything! NOTES - Bossington is a popular match venue and competitions held here regularly attract dozens of anglers. It's worth checking local social media pages so that you can avoid fishing alongside a match. 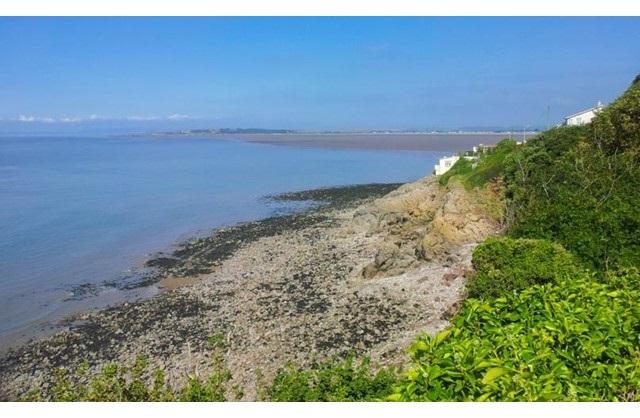 The walk to the beach is fairly long, but once there it is one of the few marks in the Bristol Channel where you could fish from the comfort of a beach shelter. During the summer, a settled spell of warm weather could see the arrival of mackerel and garfish here. The best time for mackerel is on the ebb when the tide traps an eddy of clear water behind Hurlestone point. Lure fishing can also yield bass and pollack. Species: Bull huss, dogfish, rays (spotted, small eyed, blonde and thornback), smoothhound, conger, bass, dogfish, whiting, codling, pollack, spurdog, mackerel, garfish, gurnards and pout. General - Porlock Weir is another idyllic fishing location nestled on the edge of Exmoor. The fishing here is similar to that found at Bossington but without such a lengthy walk. A pay and display carpark is just a short stroll away from the pebble beach. The beach to the left of the harbour offers some productive fishing throughout the year on to a mix of clean and broken ground. 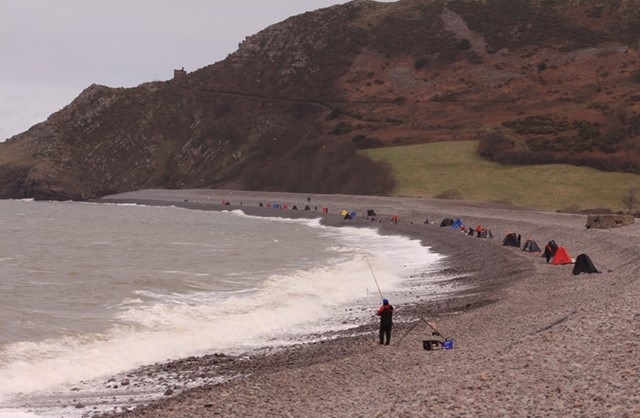 Tides - Porlock is generally fished on larger tides and most anglers opt to fish the last two hours of the ebb and the first few of hours of the flooding tide. The point to the far left, as well as being the snaggiest spot, offers the strongest tidal flow. It is possible to fish over high tide as well but you need to be a very good caster to clear the boulders and reach the clearer ground. The first of the ebb see a very strong tidal pull which can drag your gear into the rocks and existing line snags. Tactics - The area in front of the cottages offers a mostly clean sea bed and the sand also comes in closer to the beach here. This would be the area to try for small plaice and gurnards during the summer months. As you move left up the beach the ground becomes more broken and snaggier. Heavier tackle should be used here with a positive approach to get your gear back. Smoothhounds can be taken all the way along the beach during the summer months as can dogfish which can be a real pain at times. Bigger hooks loaded up with squid and cast on to the rough at the far end of the beach can account for specimen bull huss during the winter and a fish of 15lb would not be impossible to find. Pulley rigs work very well and adding a rotten bottom does help to reduce lost gear and fish. Bait - Sandeels for ray species, strips of mackerel for gurnards, lugworm and ragworm for codling and mixed species, crab for smooth hounds from May onwards, squid and mackerel for conger and bull huss in the autumn and winter and fresh pouting or whiting for spur dogs. NOTES - Porlock is the last accessible mark in west Somerset before the border for Devon. That said, if you are prepared to walk a long way there are some good marks between Porlock and the border that offer good fishing for huss and conger. The harbour at Porlock is a good place to fish for mullet in the summer with an early morning assault seeing you in with the best chance. Another method you could try here is lure fishing for bass, pollack, mackerel and garfish. Water clarity is important for this. Travelling light and heading west along the rocks is the way to go and by covering some ground you could be surprised at the results.